"My Love" Written by (Karl "Tuff Enuff" Brown) feat. Jacquee Bennett, under the TUFF JAM Banner Mixed & Produced for Tuff Jam Productions by K.Brown. 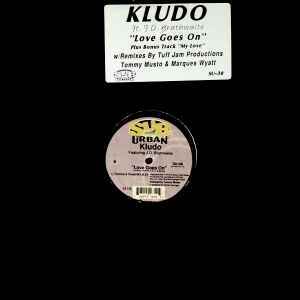 Written & Produced by KLUDO aka (Karl "Tuff Enuff" Brown & Scotty Rouse) feat. JD Braithwaite, Original title "Love Goes On" and not "A Love Goes On".